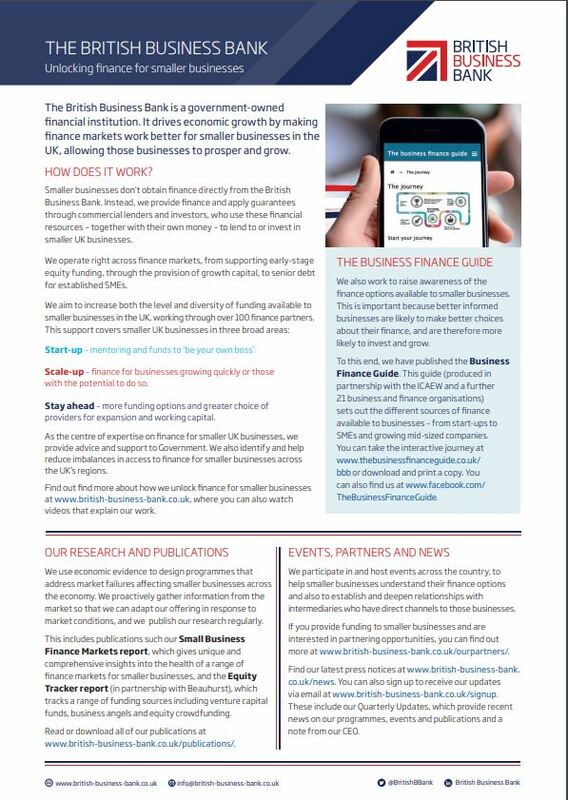 We will help to create a more diverse finance market for smaller businesses, with a greater choice of options and providers. The British Business Bank is 100% Government owned, but independently managed. It brings expertise and Government money to the smaller business finance markets. We don’t lend or invest directly. Instead we work with over 100 partners such as banks, leasing companies, venture capital funds and web-based platforms. Our programmes are designed to bring benefits to smaller businesses that are start-ups, high growth, or simply viable but underfunded. 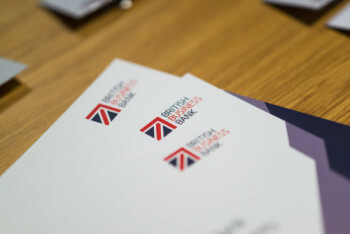 We have two commercial subsidiaries, British Business Investments Ltd and British Patient Capital Ltd, which make commercial investments into providers of finance to smaller business in the UK. Click on then image below to download a guide to our work.